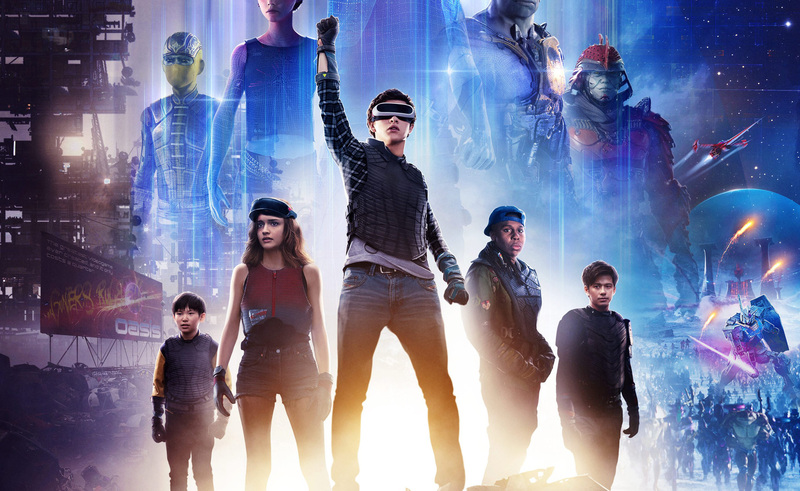 Ready Player One is a film by Steven Spielberg, adapted from a book of the same name. 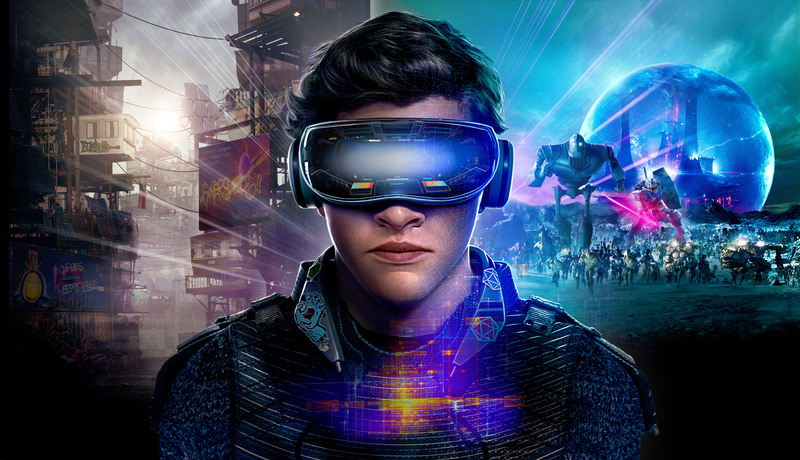 The story follows a young man, Wade Watts, as he tries to escape his own miserable life by dedicating most of his time to a virtual reality world created by his idol. This alternative world is named the Oasis, and it was built by James Halliday with the intention to help regular people escape their harrowing reality. The year is 2045 and life, and the earth itself, is in the worst condition imaginable. We're pulled into a dystopian future where there's not enough resources and necessities for people to maintain a normal, healthy and fulfilling life. Instead people are squating in trailers atop one another in a cogested, spoiled environment. All this stressful reality is medicated by Halliday's creation. The Oasis serves as a form of escapism where people get the chance to lead a second life, and forget about their harsh realities for a while. In the Oasis anyone can become whoever they want to be; an overlord, a rich bachelor, a smoking swan, anything! You can do anything you want and scour the entire place for new adventures everyday while earning coins, gear and weaponry (videogame style) to upgrade your social rank within the Oasis. The place is basically an addictive second chance! Halliday embedded three clues, for three keys, within the Oasis and has prompted for participants to scour the fantasy land for a chance to gain full ownership of his wonderful creation. The one who finds these keys first will inherit all of Halliday's belongings and wealth. Of course every other person that visits the Oasis has the dream to become the heir, and so involves themselves in the never-ending search for Halliday's impossible clues. And what would the story be without an ambitious business man who wants to turn the land into a capitalist sanctuary. This way the Oasis challenge becomes a brutal, conniving race to the finish line. The grounding story sounds compelling, right? There's literally no way one of the most respected directors can possibly lose himself in the source material to the point where the movie comes full circle only to bite its own head off, right? Unfortunately that's what happens. This is not to say that the Spielberg adaption is all bad, but it's not all too great either. One thing a renowed, experienced director should do when he gets to make an epic CGI-infested adventure like this one, is firstly ask "how can I strip it down so that the story is not overwhelmed and swallowed by all the visual effects flares?" Spielberg clearly had no such thought in might until the very last minute and that's sadly what made this film forgettable. 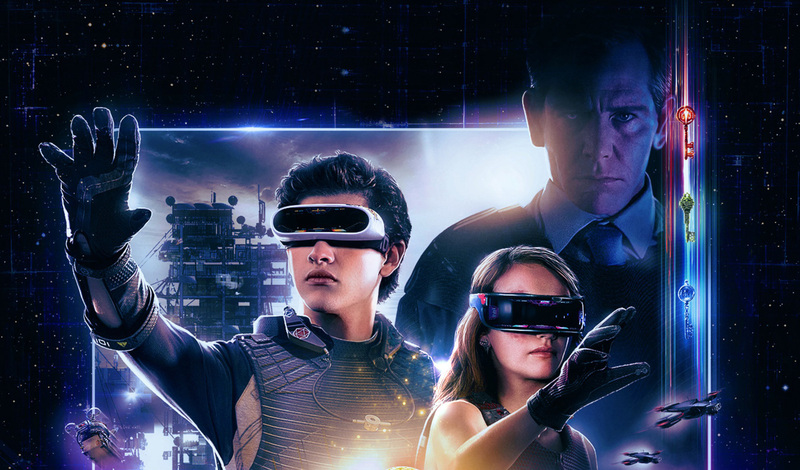 The same way we tend to zone out during epic, all-over-the place scenes as such that you'd find in films like the Pacific Rims and Transformers, and even the Fast movies, you lose interest during the action scenes in Ready Player One. I kept imagining how auteurs such as Nolan and Villeneuve would've stripped the film down so that we're not overwhelmed to the point of disinterest. Examine each of their most respected works respectively; Interstellar, Arrival. There's just too much noise and too many things happening for the movie to insight genuine emotion for long enough. Or to even get across a message that really sticks with the audience. Spielberg should've templated The Lord of the Rings or the more related Harry Potter franchise, so to give us a movie that's both epic and grounded. We instead got a movie that doesn't know how to relate to its audience, and thus resorts to emotional blackmail via wnostalgia The movie is infested with shoutouts and regurgitations of pop-culture, panning from the 80s to today. There's not some 5 minutes that go by without a mention of some classic, legend or another. At first it's really exciting to hear our favourites being affirmed (I, a The Shining worshipper, for one died and resurrected during that sequence paying ode to the Kubrick adaption), but the constant smug mentions of pop-culture gets nauseating after a while. There's certainly a lot to unpack within this one movie, and some things will be agreed upon and disputed depending on who (which type of nerd) you're talking to. But we can all agree that it's not a film that will resonate for many years to come. Heck, I'm barely interested in revisiting the movie and I'd just watched it 2 or 3 days ago. The characters are no more than mandatory players you'd find in a videogame that are first and foremost navigation vessels to get you through and to the end of the game. There's not much personality to go around between them to be compelling enough to scrape emotional investment out of us. At least the plot is rousing enough, though. We want to see Wade's avatar, Parzival, and his posé saving the Oasis from the evil corporation that wants to take over. We also want to see the enthusiastic group solve the riddles that Anarok embedded within the Oasis to get to the final key. The iron giant with a soft centre, Aech (Lena Waithe), brings much appreciated comic relief, while Wade's love interest, Samantha (Art3mis), bring the feiriness and tactfulness of a young nerd that I personally related to as a young women into nerd-culture myself. Spielberg's adaption is filled with exciting moments as much as it is filled unnecessary, bland ones. This film is not at the level that is expected from a respected craftsman, but it does get the job done. Mark Rylance as Halliday/Anarok is quietly the highlight of the epic adventure.